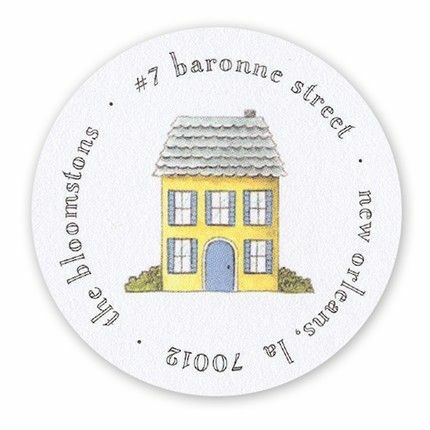 This white, circular address label features a happy, yellow house in the center. Your address is printed around the edge of the label. Colors in the design on the label include: yellow, blue, grey, green and black.